This course provides all of the necessary information to successfully manage patients with small intestinal bacterial overgrowth (SIBO). Dr. Hedberg covers SIBO in significant detail mainly focused on providing practical information so you can begin treating patients with SIBO right away. You’ll have a thorough understanding of all the symptoms, related conditions, and the best way to test for SIBO. Exact supplement and diet protocols are provided with many handouts you can use in your practice. You’ll immediately feel confident in taking on any patients with SIBO with maximum success and unparalleled patient outcomes. SIBO continues to explode in the healthcare arena with many patients left without answers. This course will put you at the forefront of SIBO diagnosis and management. I enjoyed watching Dr. Hedberg’s SIBO training and learning how to help my patients overcome this complex condition. 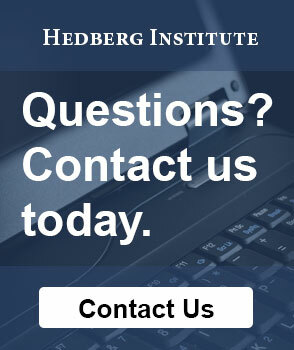 Dr. Hedberg is very comprehensive and realistic with all of his trainings and I would recommend any of them. The SIBO training was by far one of the better ones due to the fact I see many cases with SIBO. His protocols have helped me with some of my tougher cases and has allowed me to think about other treatments strategies that I would not have thought of unless I had gone through this course.